There’s no place like Walt Disney World Resort for sugar fans during the winter holidays, with six spots for ogling amazing gingerbread creations: Disney’s Yacht Club Resort, Disney’s Beach Club Resort, Disney’s Grand Floridian Resort & Spa, Disney’s Contemporary Resort, Disney’s BoardWalk Resort and the Liberty Inn at American Adventure at Epcot. Joining this year’s line-up is a fantabulous new creation in the lobby of Disney’s BoardWalk Resort. The gingerbread and chocolate gazebo is back but now you can also see Stitch’s Bakery Store Front, a miniature replica of the BoardWalk Bakery that Stitch has taken over (Lilo’s there too) – 10 feet tall and 14 feet wide. Disney cast members will be inside the creation decorating gingerbread houses. To satisfy your sweet tooth, you can purchase mini gingerbread houses, stollen bread and gingerbread “shingles” (cookies). 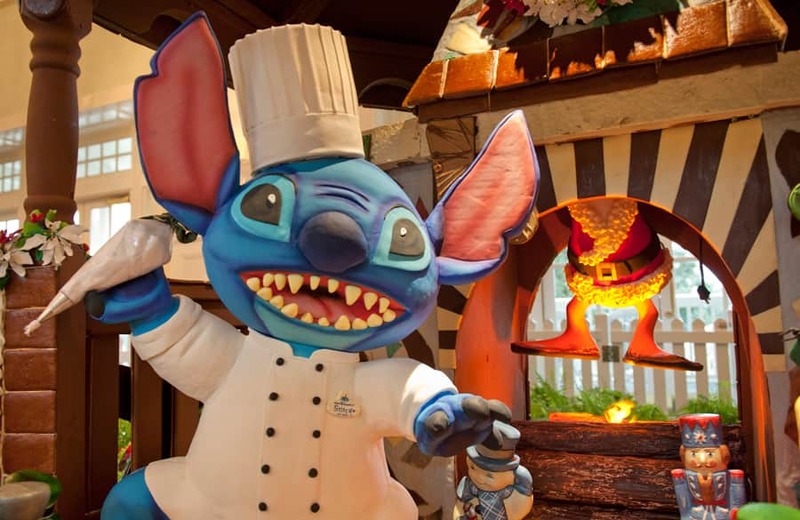 Disney Pin collectors can head to Dundy’s Sundries on the BoardWalk for the limited edition pin that features Stitch and the gingerbread display. What’s your favorite gingerbread creation? Oh, my gosh. 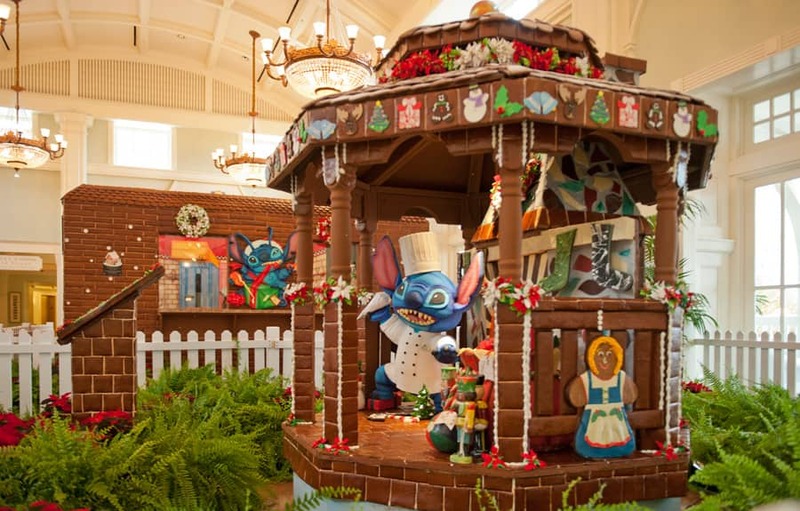 I love the gingerbread creations at the WDW Resorts. They make the most amazing gingerbread “houses”. I’ll have to make sure I go see this one when I’m there this weekend. 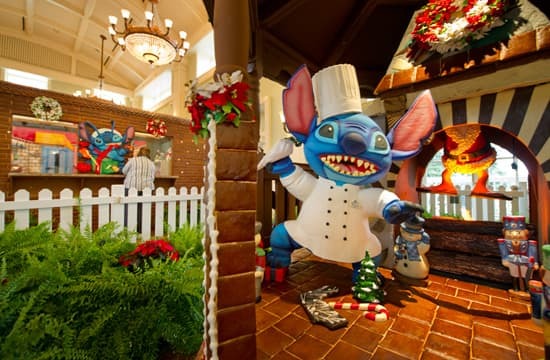 Why would they put Stitch in the Boardwalk? 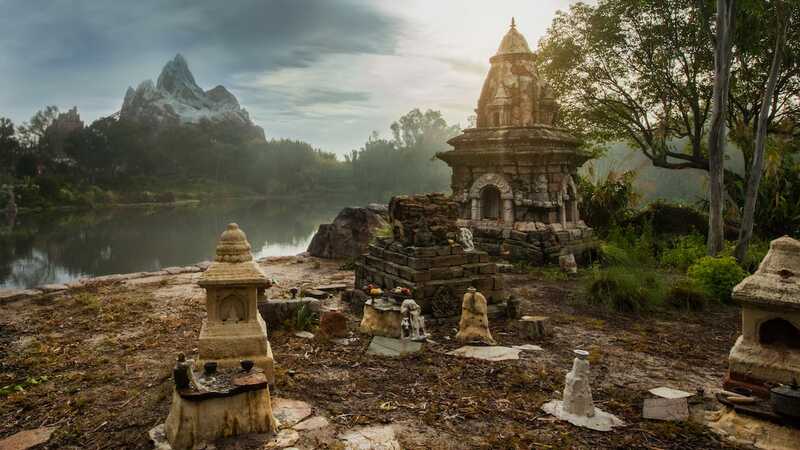 Wouldn’t he be more at home at The Polynesian? That is awesome! We can’t wait to see it in person next week! Thanks for the video! Oooh! I’ll be there for Marathon weekend Jan 5th. I hope they don’t start taking it down yet! It just amazes me all the creations that come out of the Disney Kitchen for Christmas. That is an incredible Stitch creation. Is he made of chocolate? 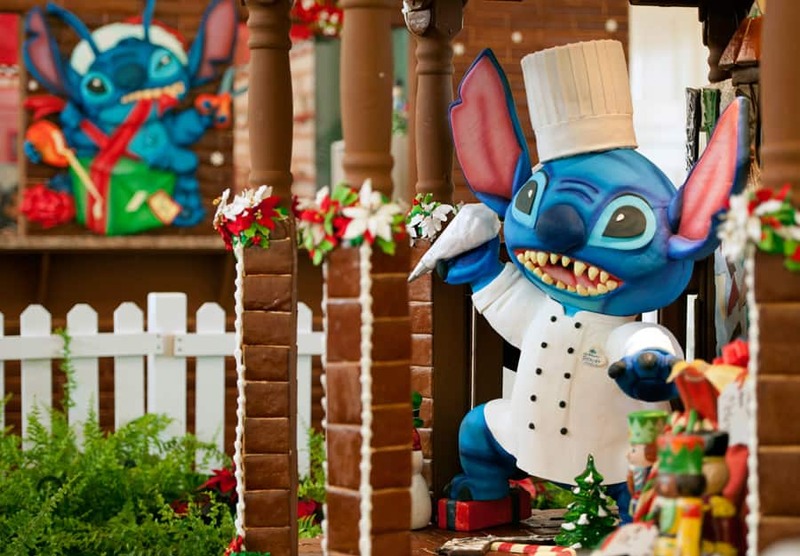 I think my favorite gingerbread creation was just made…I love Stitch!! !